Kristina has a huge passion for beauty and she also has a massive experience in skin care, beauty and wellness. I met her via Instragram, she is very friendly, humble, kind and professional and she loves to help people achieve beautiful healthy skin. She gifted me a bottle of her serum and she told me she hopes I like it because she made it with love and good intentions. From her passion for beauty Kristina founded Yummylicious Serums and they are based in Paris, but available international. 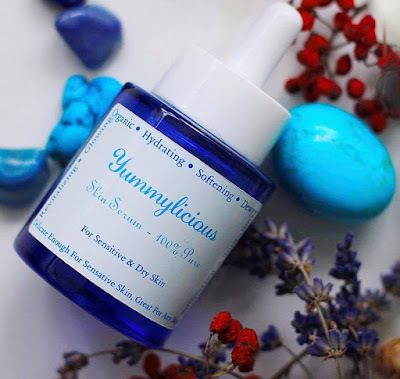 She told me she calls the serum Yummylicious because it feels delicious and soft on the skin. Now, after I tried her serum I can definitely say that she was right, her serum is amazing, it has such a beautiful texture that melts on your skin, leaving it hydrated and so very soft. Sheet face masks originated from South Korea where people are known for their dedication on cosmetics and skincare. Only last year the sale of sheet masks increased about 60 %, overwhelming the sale of other skin care products. 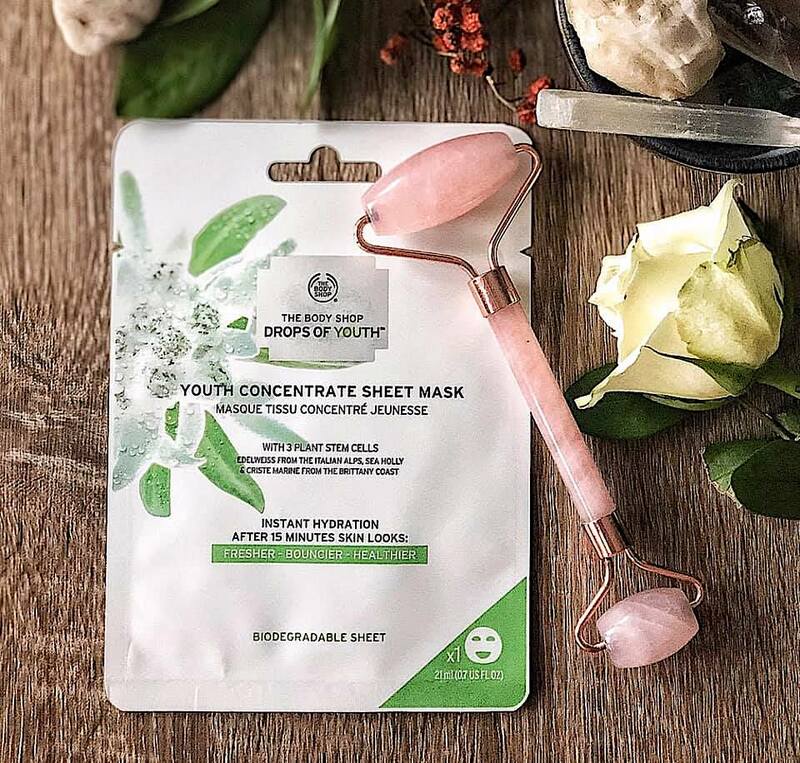 Unfortunately when we use sheet masks we have a left over waste and that's not very good for the environment, unless you are using eco-friendly options and fully biodegradable sheets face masks, like The Body Shop Youth Concentrate Sheet Mask, which is a really new addition to the Drops of Youth skincare line. The Body Shop Youth Concentrate Sheet Mask is made of a cellulose fiber derived from renewable sourced wood pulp and is fully biodegradable.You can trow it in your compost bin and it will take around 42 days to disintegrate. Good for your skin but also good for the planet ! How cool is that ? This makes it instantly my favourite sheet mask!